Provide comfort for the family of John Holder with a meaningful gesture of sympathy. John L Holder was born in Brownwood, TX, December 25, 1943 and finished his race on earth on March 12, 2019 at his home in Waco, TX. 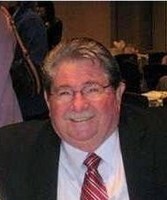 John spent his early childhood in Indian Creek, TX and attended schools in Brooksmith and Avoca before ending up in Stamford, TX and graduating from Stamford High School in 1961. After high school, John worked for Kinney Shoes as a Sales Manager and traveled around. John was drafted into the US Army and served honorably from October 27, 1966 until his medical retirement as a Spec. 5, on November 22, 1968. He served his nation in the Vietnam War during the spring of 1968 with the 4th Cav 25th Infantry Division. During his brief tour in Vietnam he received life-threatening injuries and spent his remaining service time at Brooks Army Medical Center in San Antonio, TX. His military honors include Purple Heart with Oak Leaf Cluster and Vietnamese Cross of Gallantry. Upon his discharge from service, he returned to Abilene where he attended and graduated from Abilene Christian College with a Bachelor of Science degree on May 7, 1972. In 1973, John moved his family to Waco, TX eventually settling in Hewitt to raise his family. In January 1974, he began his 45-year career with State Farm Mutual Insurance Company as an independent contract agent. John led a life of care and devotion to others. He was a Lifetime Board Member and Past President of the Hewitt Chamber of Commerce; a dedicated member and Past President of the Hewitt Kiwanis Club; and past Post Commander for the Hewitt VFW Post 6008. As founding member of Hewitt Chamber of Commerce, Hewitt Kiwanis Club, and VFW Post 6008 he believed in giving back to his community. John was a Master Mason with the Waco Lodge No. 92 and took pride in his affiliation with the Masons. He was quick witted, enjoyed spending time with friends and family, laughing at a good joke and traditional Poker nights with his friends. John believed in investing in the personal and professional growth of others celebrating in their accomplishments. John is preceded in death by his parents, John and Lettie (Crowder) Holder. He is survived by his wife, June Holder; children, John Todd Holder; Jennifer Jefferson (Ed); and Aspen Holder. In the wake of his legacy he also leaves his beloved grandchildren, HM3 Gavin Jefferson; Caitlyn Jefferson; Hailey-Jane Holder; Brianna Garner; Brittany Garner; Willow and London Gose. He also leaves behind his loving siblings, Ray Holder (Rhonda) of Abilene, TX; Nelda Sims (Frank) of Abilene, TX; Vernon Holder (Nora) of Buenos Aires, Argentina; Bobby Holder of San Marcos, TX. As well as many treasured nieces, nephews and cousins. In lieu of flowers – Donations can be made in his honor to The Shriners Children Hospital. To send flowers in memory of John L Holder, please visit our Heartfelt Sympathies Store. Love, Christy, Sierra and Cameron Kazaoka sent flowers to the family of John L Holder. I remember John from high school as a fellow who could always make me laugh. He always had a smile! To the family, what a legacy John has left. His children are blessed by having him as a Dad. He was a great friend and neighbor when we lived on the same street. We are so thankful for the families' love that will continue to shine because of John. May God be with you all. We love you.